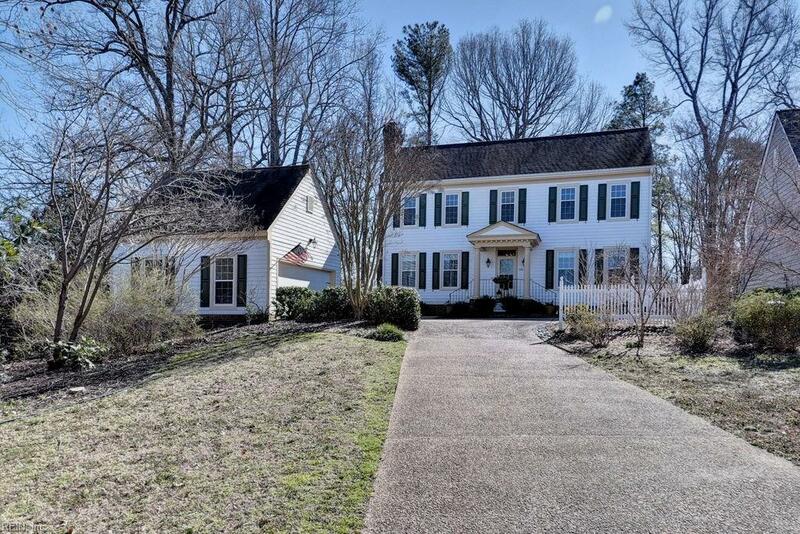 100 Alwoodley, James City County, VA 23188 (#10242648) :: Abbitt Realty Co.
Gracious golf front colonial in Ford's Colony's St. Andrews's Village. Premier location on the 9th tee box! 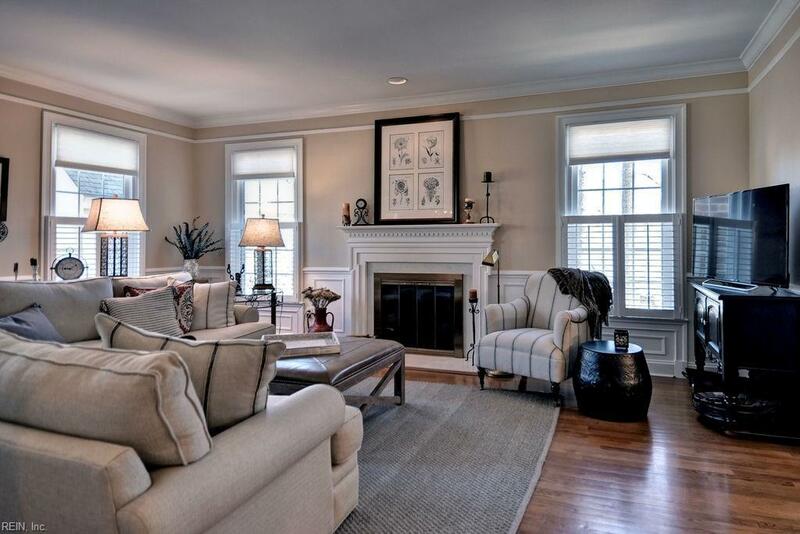 Elegance abounds beginning with the formal living room featuring gas FP and built in book cases. 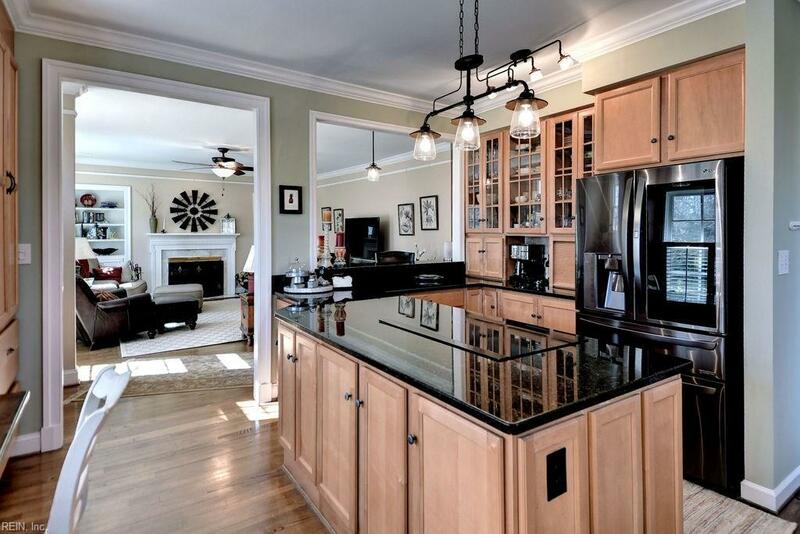 Dining room offers ample space for entertaining and includes built ins and gorgeous moldings. Large 1st floor master suite includes 2 walk in closets and elegant en suite. 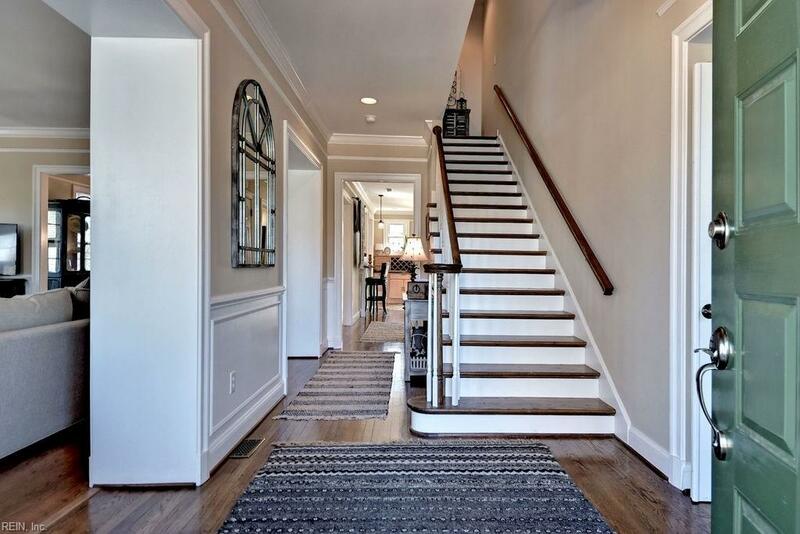 Grand foyer leads to spacious family room with stately wood burning FP. Built ins on either side of fire place offer additional elegance and warmth. Kitchen features granite counters, updated cabinetry, stainless appliances, breakfast area and bar. Upper level includes 2nd master suite, 2 additional large bedrooms, large open hallways, stunning wood flooring and updated bathrooms. HVAC 2018, New Gutter Guard gutters, encapsulated crawl with dehumidifier. Upgraded blinds and gorgeous plantation shutters. Hardiplank siding. Seconds to walking trails and golf! Colonial Williamsburg feel with Ford's Colony amenities!